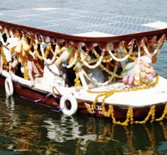 "Protecting the lakes, water bodies and environment created through centuries of ingenuity of successive Maharanas"
The Mewar Solar Cell, was established to concentrate on research into passive energy systems. Technicians worked on ways of reducing toxic fumes, noise and carbon dioxide emissions from land vehicles using solar powered photo-voltaic panels as the alternative source of energy. By 2003 six prototype rickshaws with three and four wheels and one electric motorcycle had been built. Presently 14 prototypes of solar vehicles are on display at The Vintage & Classic Car Collection, Garden Hotel, Udaipur. MMCF has won national and international awards for this project. HRH group has installed one of the biggest Sewage Treatment Plant in Udaipur and has implemented water conservation systems that ensure recycling of water. 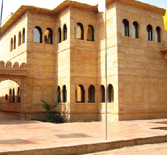 Gorbandh Palace at Jaisalmer involved hotel guests in the plantation of over 500 trees to increase plant growth in desert areas. In April 2003, The Mewar Solar Cell organised a non-competitive rally to test these prototypes on the roads in Rajasthan. It was an event that attracted 21 participants from UK and USA, who sponsored the design and construction of the rickshaws that they donated, at the end of the rally, to MMCF. 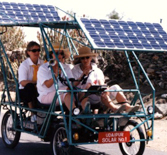 In April 2004, 33 participants joined the International Solar Rally that completed 1200 km with 14 vehicles powered by solar photovoltaic panels as the source of energy. Udaipur Solar No. 5 a four-wheel vehicle achieved an average speed of between 20-25 km per hour over a distance of 150 km. 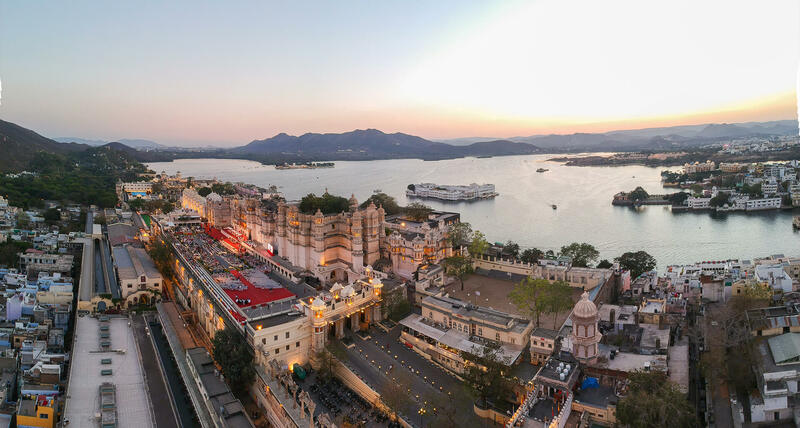 MMCF resource person Dr. N S Rathore has done extensive research on the historical development of Udaipur Lakes and interlinking of rivers developed by the Maharanas over centuries. 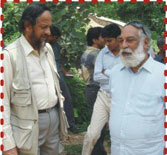 The findings were presented in an international seminar at Hyderabad in July2008. 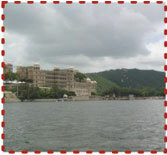 Click here to view details of the project as published in Hindi daily Dainik Bhaskar Udaipur edition. Maharana Mewar Public School has organised trips to Zawar Mines to familiarise the students about mining activities, nature trips to Kumbalgarh, Jaisamand and Jhadol (Wild Life Sanctuaries). 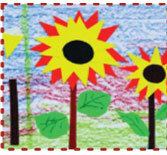 Students are also involved in activities such as the tree plantation programme at Ambamata in Udaipur. Shriji Arvind Singh Mewar,Chairman and Managing Trustee,MMCF,Chaired an International Workshop on ILBM on 12th August at The Durbar Hall ,Fateh Prakash Palace.The workshop was organized as part of IAAB's national agenda to propogate a strategy for sustainable management of lakes and reservoirs in india.The main focus of the discussion in Udaipur was the lakes of Udaipur with the aim of developing a final ILBM document to submit to the concerned authorities for further action . On the 19th August Shriji Arvind Singh Mewar of Udaipur and Ms. Padmaja Kumari Mewar of Udaipur attended the opening of Prakriti Sadhna Kendra(Environmental Education Centre) at Vidhya Bhawan Campus.The ceremony was inaugurated by Dr. Rajendra Kumar Pachauri,Director General ,Tata Energy Research Institute,New Delhi . 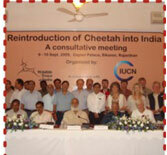 Top international and national wildlife specialists meet to discuss cheetah reintroduction into the wild in India.On the 9th September 2009,moving a step closer to reintroduce the chetah to the indian wild ,experts from across the world gathered at the Gajner Palace, Bikaner,Rajasthan, to work out a roadmap for the cheetah Reintroduction Pproject,proposed by the Wildlife Trust of India (WTI).The two-day meeting held to examine the possibility to reintroduce the species ,which was extripated from India about six decades ago. Several environment enhancement projects such as afforestation drives, lake protection campaigns including awareness & education and lake ghats beautification are envisaged to be taken up by the Maharana of Mewar Charitable Foundation. These projects will engage MMCF awardees who have created benchmarks in environmental conservation. 1. 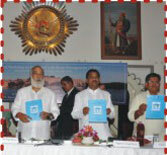 Transform Lake Pichola into a fossil fuel-free zone. 2. Use vehicles powered by solar as a source of energy in The City Palace. 3. Continue research on these successful prototype rickshaws and develop other vehicles leading to commercial production by a manufacturer. The business and charitable organisations under Eternal Mewar continuously engage in activities, events and workshops for the promotion, awareness and preservation of the natural heritage. The annual calendar for such events is based on a dialogue with the partner organisations and institutions.